As a member of Certass, we pledge to offer you all the installer support and practical solutions to promote your business. That’s why we have created our Digital Support Package. A complete toolkit of free, practical online tools that will help make a real difference. And, if your business is not already online, we want to help you make the jump even easier. The Digital Support Package is designed to help you create a professional online presence, easily. It comprises of an online bio, a customer ratings service and unique dynamic logos, all helping you to give your customers the confidence to choose you. Your free, online bio is a huge part of our online installer support and can generate more enquiries for you. As a Certass member, you will be given a profile on our consumer online directory. This allows consumers to search for their local Certass member, find your business and learn more about your company. 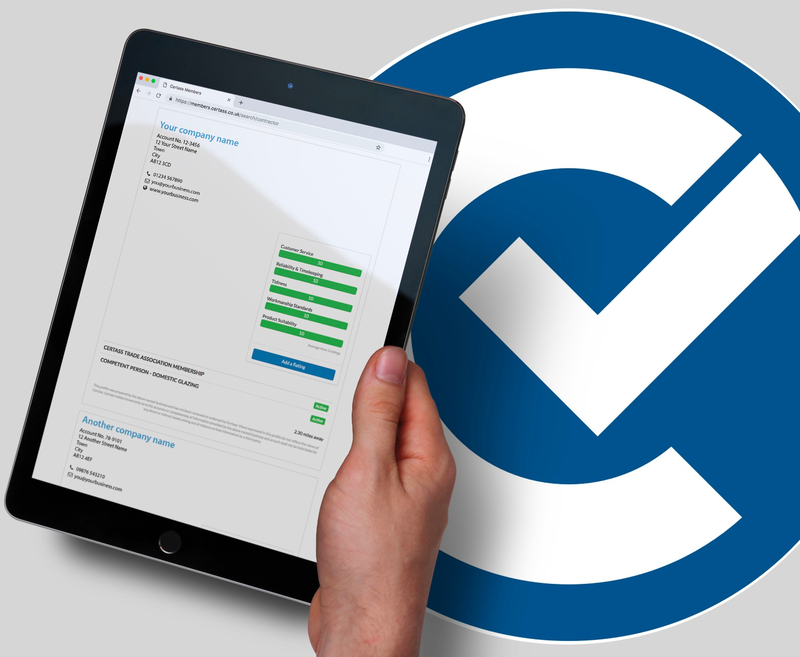 Your online profile also contains information on your Certass membership, including your unique Certass number and the status of your membership, so that homeowners can see that you are still registered with us. If you’ve not seen our online consumer directory before, have a browse here. The Certass online directory is a great lead generation tool that’s promoted to homeowners across the country. It effectively helps you get leads from prospective customers by acting as a reliable and trusted directory with a simple-to-use search function. Homeowners can easily find local installers by searching a postcode, or they can find out more information on your business by searching your company name or unique Certass number. To accompany our installer support, we provide you with unique, personalised dynamic logos that confirm your Certass and Certass Trade Association membership. The logos display your membership details and unique Certass member number, proving your certifications while giving your customers an added layer of confidence when choosing you for their home improvements. Your dynamic Certass logo is yours to use however you like. We suggest displaying it on your website, on your social media pages, your email footer and on your quotes. Our member ratings system acts as a platform where you can receive genuine, verified feedback from your customers on work that you have completed. Lots of popular online rating websites allow anyone to leave feedback, which can lead to unfair and false reviews. They can also be costly for small businesses. Our system works by allowing your customers to leave feedback upon completion and registration of an installation. All you need to do is provide your customer’s email address when you log any work with us under your Certass certification scheme. Your customer will then be emailed a ratings form to complete prior to receiving their Certass Compliance Certificate. You will be scored by your customers on service, reliability & timekeeping, tidiness, workmanship standards and product suitability. If a customer email address is supplied, every job registered with us is eligible to leave feedback. Your ratings will then be displayed on your online profile and you will receive a notification when you have new review, along with any additional comments, so that you can use your ratings across social media platforms, your website and any other marketing resources. We also share your rating comments with you on our social media pages. To find out more information about our Digital Support Package, and the other great benefits of being a Certass member, get in touch with us via email at [email protected], or click here for our contact details.